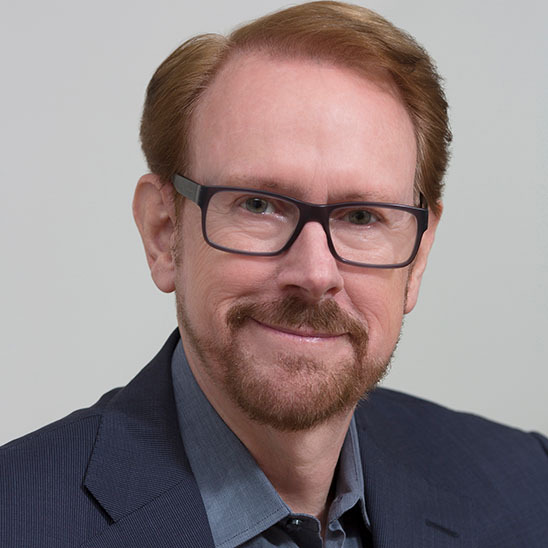 His accurate predictions date back to the early 1980s where he became the first and only futurist to accurately identify the twenty technologies that would become the driving force of business and economic change for decades to come. 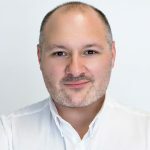 Since then, he has continued to establish a worldwide reputation for his exceptional record of predicting the future of technology-driven change and its direct impact on the business world. 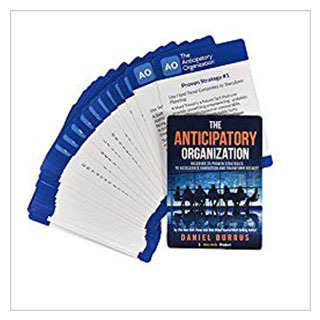 Based on decades of research and experience applying his Hard Trend methodology to leading companies worldwide, Daniel has identified the missing competency: Anticipation. 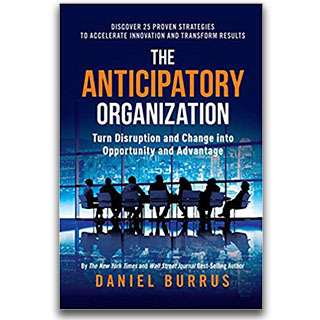 With his Anticipatory Organization Model, Burrus enables business leaders to separate Hard Trends from Soft Trends. 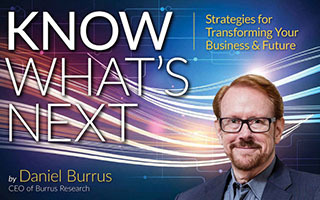 When you learn to analyze and perceive trends this way, it is possible to tap into what Burrus calls Everyday Innovation, solving challenges faster, and recognizing previously invisible opportunities. Mastering these capabilities will position your organization to be the disruptor instead of being the disrupted — thus creating competitive advantage, and reducing risk. Accelerate your organization’s growth and your employee’s personal success. Accelerating growth requires a new way of thinking about overcoming obstacles and acting on new opportunities. All too often, change comes from the outside in, forcing us to react by slipping into a crisis management mode, and putting out fires. 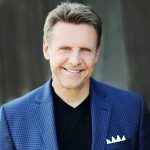 This presentation is about opportunity management, identifying the driving forces of predictable change, driving growth strategies from the inside out, and taking control of our future. Drive growth strategies from the inside out. Agility and adaptability are no longer enough! Accurately anticipating customers changing needs and technological change, provides the biggest advantage. In times of unprecedented change and uncertainty, we need to ask ourselves what are we certain about? Strategies based on uncertainty equal high levels of risk. Strategies based on certainty dramatically reduce risk and produce superior results. 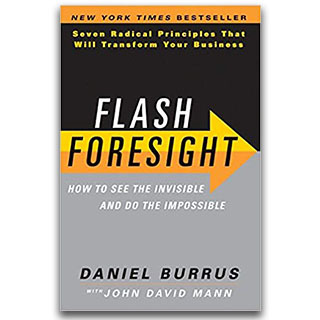 Strategic foresight is based on the new Science of Certainty that will take your vision to a new actionable level by identifying the events that will happen in the future. Mastering these capabilities will position your organization to be the disruptor instead of being the disrupted. Learn how to use the new tools and rules of leadership to accelerate profitable growth. Technology is continually changing the rules of competition, rendering many traditional business strategies and processes obsolete. Emerging technologies provide opportunities for creating new, high margin products and services, as well as enable companies to gain new levels of speed, agility and cost savings. In addition, they allow us to de-commoditize current products and services. 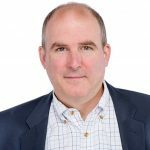 Identifying and understanding the challenges and opportunities that new technologies create has become a key business imperative, however, this can prove a daunting task in the modern marketplace. How to transform decision-making to incorporate innovation. 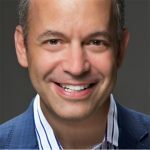 Technology-driven exponential change has created a unique tipping point, one filled with disruptive problems as well as amazing new opportunities. There are many new tools and strategies that can be used to transform the customer experience, grow brand loyalty in amazing new ways, increase consumer engagement, and accelerate the results. 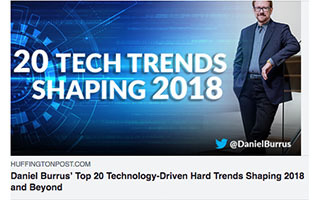 By learning to separate the Hard Trends that will happen from the Soft Trends that might happen, you can accurately anticipate technology-driven disruptions before they disrupt, problems before they happen so that you can pre-solve them, customers’ needs before they express them, and game-changing opportunities before the competition. Mastering these capabilities will position your organization to turn digital disruption and change into an advantage. Develop the ability to identify the driving forces of predictable change. How to accurately anticipate customer needs before they express them. We are standing at the base of a mountain of technology-driven change within the sphere of Healthcare. Wireless telemedicine, point-of-care transactions, e-enabled disease management, home diagnostics, the virtual hospital, e-enabled customer choice, e-enabled assisted living, e-communities of practice, just-in-time training, and procurement service providers are just a few of the many areas that can be used to accelerate a positive transformation in healthcare. Understanding the new opportunities that will result is essential in determining a clear course of action. Technology will never replace doctors and nurses, but it will provide them with more data-driven insights and actions. A combination of data and technology will enable doctors to achieve their desired results faster, and empower patients with the knowledge of their own bodily state. Navigating these Hard Trends will lead you to the future of modern healthcare in a digital age. 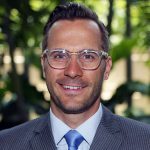 Avoiding disruption amongst Healthcare tech production.